Awning Window has for many years been a favourite choice for the modern Australian consumer. Slender frames, mullions and sashes are required to achieve the desired appearance of these windows, making slimline PVCu profiles the ideal alternative to wood, steel or aluminium. Our wide choice of awning windows will make it easy for you to select a style that will not only enhance your property but add value, with a combination of extraordinary performance and aesthetically pleasing appearance. 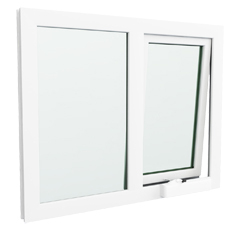 Awning windows have both federation and contemporary architecture applications. Our windows are more than just apertures for light and ventilation - they can be a major spectacle offering a connection to heaven and earth. With the right advice about placement and size, our windows can improve comfort, utilize daylight and natural ventilation for improvement in overall health and well being. And since upvc is recyclable, and does not involve destruction of forest, or energy intensive crushing and electrolysis of bauxite into aluminium. 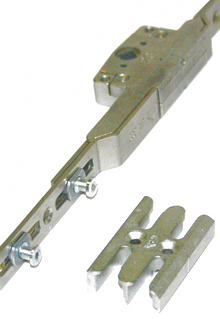 The MK3 espagnolette handles are ideal for use with outward opening window systems, including TSL. Operation of the handle is achieved by simply pushing the button and opening to a holding position. The handle will automatically re-locate to a locked position upon closure. The key supplied will provide a deadlock to the cylinder. Awning and casements windows are using stainless steel friction stays and locking or non-locking handles which are available in a variety of finishes. For added convenience, optional chain winders are also available, this may be lockable. Chain winders limit the extent to which an awning may opened. The use of this item is essential in residential constructions or buildings where also industrial design is a fact of primary importance. Manual telescopic actuator with stiff rod movement. Ideal for hard to reach applications such as sky lights and vaulted ceiling ventilating windows, and available in variety of sizes between 1.5m-3m length. 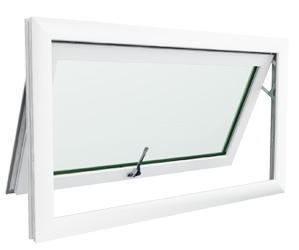 Operational tests are carried out on the handles on the awning windows itself. This means that, not just the function, but also the durability of the attachment between hardware and window is tested thoroughly. They are given the equivalent of 50 operational cycles a day over a period of 10 years. Neither the awning windows handle itself, or any part of it, must become loose during the course of the test. 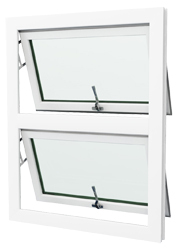 This ensures the components Double Glazed Windows and Doors use perform consistenly well, so that our customers enjoy a trouble free use of their windows!